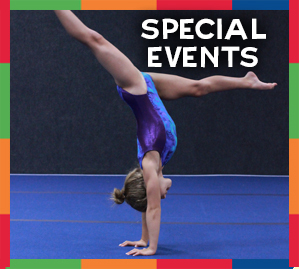 ages 8 months - 14 located in Easton in the Lehigh Valley PA. Our activities include gymnastics classes, tumbling classes, Ninja warrior parkour classes, toddler classes and more. Or your children can try out for our Xcel competitive team. We also offer parent child classes and private sessions. Check out our holiday and summer camps too! We were recently awarded the #1 spot in the Lehigh Valley's Best of 2017 Happening List, we won in 2016 as well! Check out our children's fitness classes. We are near Phillipsburg, Bethlehem, Nazareth and the entire Lehigh Valley. 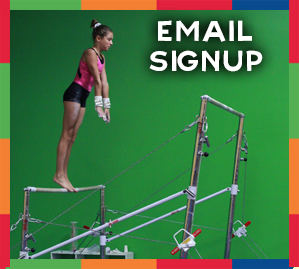 Your kids will love our Gymnastic and Activity Instructors. They all share a passion for teaching children and bringing a smile to their face! Looking for something different for your child's birthday party? Host your child's next birthday party at Gymtime! Choose from our party package options that include songs, games, exercise and more! Add ons for childrens birthday parties include pizza, candy, frozen yogurt dessert bar and more! Save yourself the hassle of clean up! Coach Meghan is a certified Health & Physical Education teacher with a BS in Exercise Science and Masters in HPE Athletic Administration. She has over 8 years experience at both the elementary and high school grade levels. Coach Ben is also a certified Health & Physical Education teacher with a BS in Health & Physical Education. He has coached both middle school and high school level basketball, football, baseball and soccer. Learn more about how we'll bring our fitness and nutrition experience to the lives of your children! Getting your children into fitness at an early age will install a love of a healthy lifestyle. 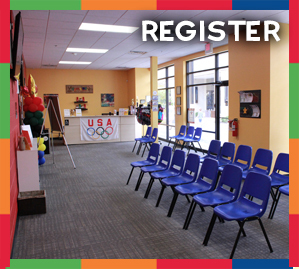 Click here to view our kids fitness class schedule.